The Environmental Center will be open every Saturday from 8:00 am until 12 noon. Examples of recycling are cardboard, bottles, cans, newspapers, etc. Please remember to bring proper identification or you will not be admitted to the center. If you have further questions regarding these changes, please call DPW Director Mike Smith at 973-410-5340. Items such as refrigerators, freezers, air conditioners, dehumidifiers, or any other item containing Freon will not be accepted unless the DPW office has been provided with written documentation indicating that the Freon has been legally removed from the item. Check with www.njcleanenergy.com to see if a refrigerator/freezer recycling program is in effect. Commercial vehicles or trailers will be accepted provided you obtain a letter of approval from the DPW Director at Borough Hall. The letter must contain the make, model and plate number, and it must be a New Jersey vehicle registered to a resident in the Borough of Florham Park. 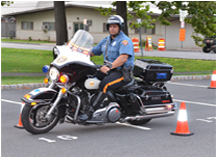 The Borough of Florham Park reserves the right to refuse ANY VEHICLE AT ANY TIME at their discretion.